In stock -This product will ship today if ordered within the next 2 hours and 45 minutes. 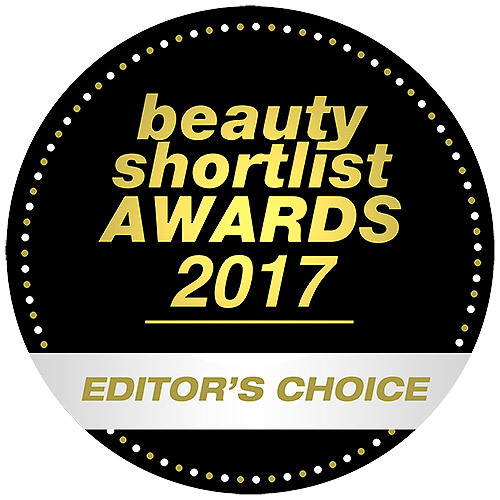 Beauty Shortlist Mama and Baby Awards 2017 - Editors Choice! With the Slim Adult toothbrushes, the grip is a bit smaller than its Standard Adult sibling and instead of four rows of bristles, there are three! And just like the full line of toothbrushes, there’s a lot to be said about going natural. Every year billions of plastic toothbrushes are thrown away, clogging landfills and polluting the oceans. Woobamboo toothbrushes offer a natural and biodegradable option that works just as well and last just as long as a conventional toothbrush. The handle is made from sustainable and organic moso bamboo which is panda friendly (not the bamboo that they eat). The recyclable bristles are Dupont Tynex, arguably the best quality and most trusted bristle available. 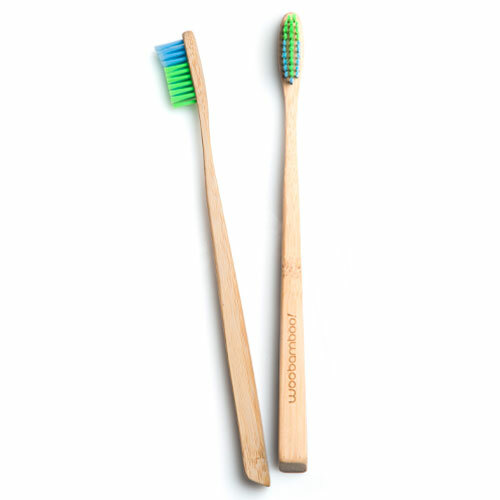 So when you`re done using your WooBamboo toothbrush, you could literally pull out and recycle the bristles, and throw the handle into your compost where it will gently biodegrade. They`re "Dentist approved, Mother Nature recommended!" 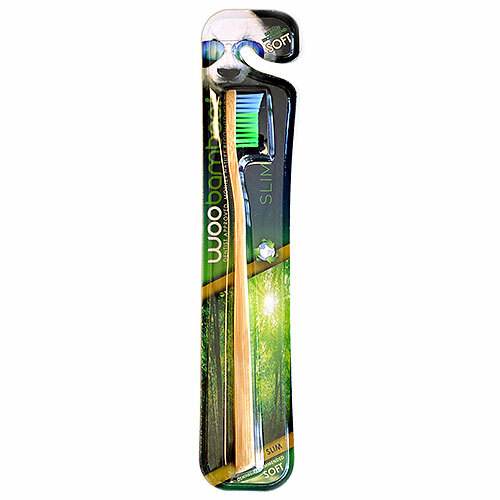 The WooBamboo Slim Handle toothbrush is ideal for women and teenagers. Brush twice per day, morning and night. Below are reviews of WooBamboo Slim Soft Toothbrush by bodykind customers. If you have tried this product we'd love to hear what you think so please leave a review.